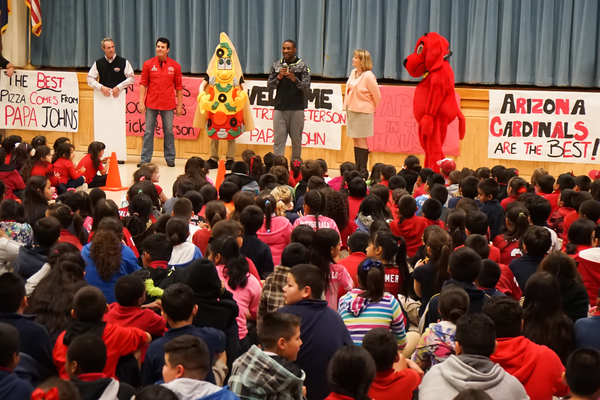 PHOENIX, Ariz. (Feb. 3, 2015) – In the midst of the frenzy of Super Bowl weekend, Arizona Cardinals’ Pro Bowl cornerback Patrick Peterson made time for a visit to San Marcos Elementary School on Friday afternoon to celebrate with the victor of his Pick Up a Book Reading Challenge, a literacy initiative of his Foundation for Success. In an effort to bring families, schools and communities together to promote children’s literacy development, Patrick Peterson and his Foundation for Success kicked off the school year with its Pick Up a Book Reading Challenge in early September at San Marcos Elementary School. Peterson challenged 60 local Phoenix schools to each read a combined 100,000 minutes this fall. Students logged their individual reading minutes online throughout the semester. The school with the highest number of combined reading minutes would earn a school-wide pizza party with Peterson, sponsored by Papa John’s. 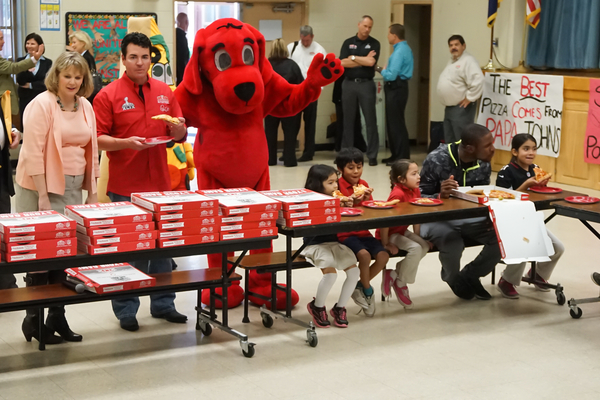 More than 500 San Marcos Elementary School students gathered with Peterson on Friday afternoon at a school-wide Papa John’s Pizza Party to celebrate their hard work of reading the highest number of combined minutes. With a total of 524,787 minutes, San Marcos Elementary School ranked fourth in the national Scholastic READ 100,000 program. 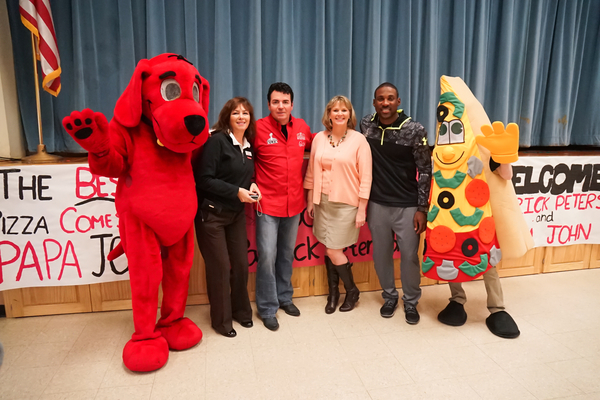 Papa John’s Founder, Chairman, President and CEO John Schnatter also presented a $58,000 check to the Patrick Peterson Foundation for Success as a result of a partnership throughout the season. When customers ordered the Patrick Peterson Special online with the promotional code “PATRICK,” $1.21 of each order was donated to the Patrick Peterson Foundation for Success. The Patrick Peterson Foundation for Success | The mission of the Patrick Peterson Foundation for Success is to provide low-income and inner city youth with opportunities and resources to reach their full potential. For more information, please visit patrickpeterson.org.